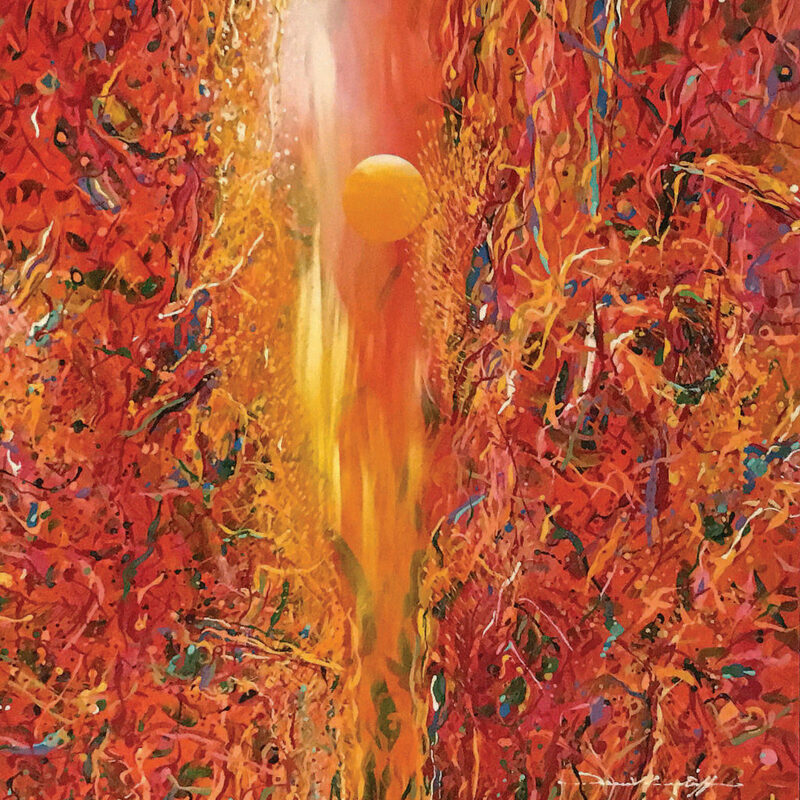 The heat and light of the sun permeate through this piece, enveloping the viewer in an atmosphere that can only be experienced during a certain time in the late afternoon, just as the sun is about to set. smail Latiff is a Melaka-born artist who trained formally in arts at MARA Institute of Technology. His artworks of both the mystical and abstract kind are known locally and internationally. Having started off his career in advertising before switching to arts, his philosophy of life and work is “Art is Life and one of the best introduction to art is Nature”. The NHB of Singapore has two pieces in their collection by Ismail Latiff, namely ‘Festival of Inner Jungle I’ and ‘Puncak Pengkalan Serumbi’.